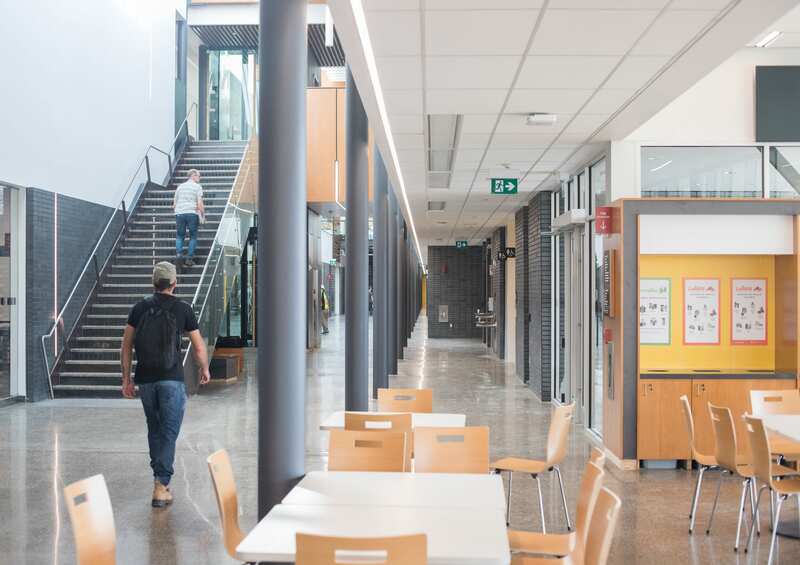 This week, thousands of students began their studies at Red River College campuses across the province, including — for the first time ever — at RRC’s new 104,000-sq. ft., state-of-the-art Skilled Trades and Technology Centre. The new STTC will increase trades and technology training spaces at RRC’s Notre Dame Campus by more than 30 per cent, and will prepare up to 1,000 students a year for careers in high-demand industries including carpentry, electrical, and mechanical and manufacturing. The facility is home to new classrooms, labs and shop space, and is expected to play a key role in boosting Manitoba’s workforce by 75,000 highly trained people by 2020. In addition to opening the doors of the STTC, the College will also mark a number of other back-to-school milestones this month, including a new series of student orientation sessions, the launch of new programs, awards and bursary opportunities, and a full slate of events and activities hosted by the RRC Students’ Association. “The first day of school is always a mix of excitement and nerves, whether it’s the start of a new program or the start of another year in a student’s educational journey,” says RRC President Paul Vogt. Last year, RRC welcomed more than 22,000 students through its doors over the course of the academic year. While current enrolment figures are still being tallied, early indications suggest most programs are near-capacity or full.